In 1891, John M. Moser, a nephew, became a partner in the firm, which changed its name to George Moser and Company. 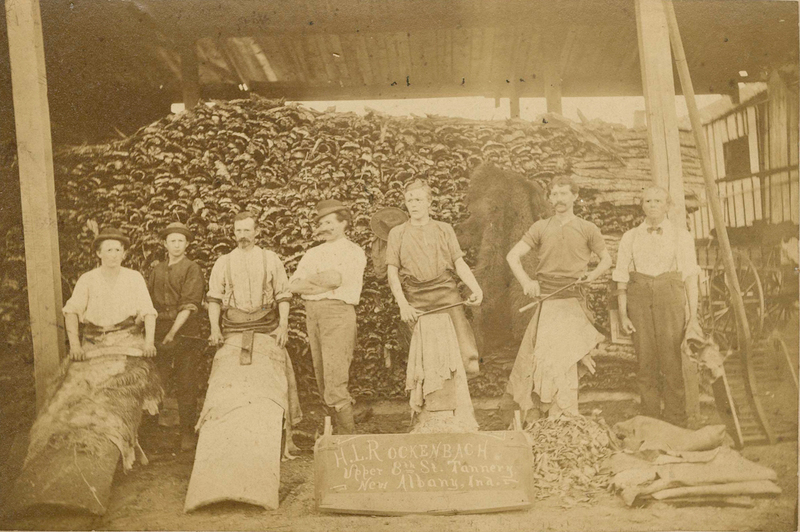 By 1902 Moser tannery employed thirty-five men and handled almost 15,000 medium-weight hides annually. Byers across the country used its products in manufacturing a variety of consumer goods. 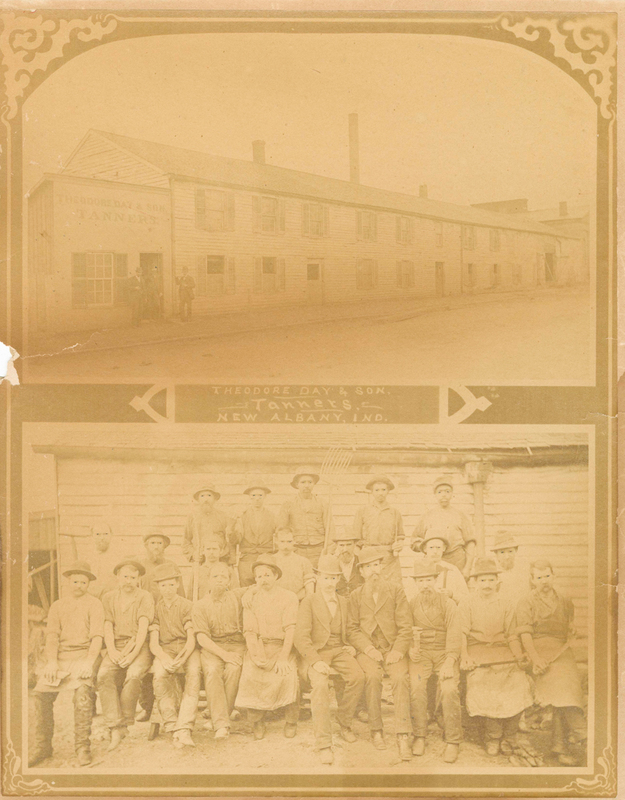 In 1905, George Moser opened a second plant on Silver Street, south of the Pennsylvania Railroad. 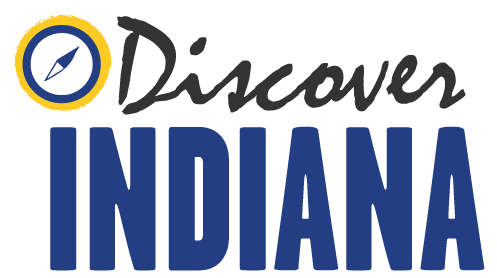 He named this operation the Indiana Leather Company. 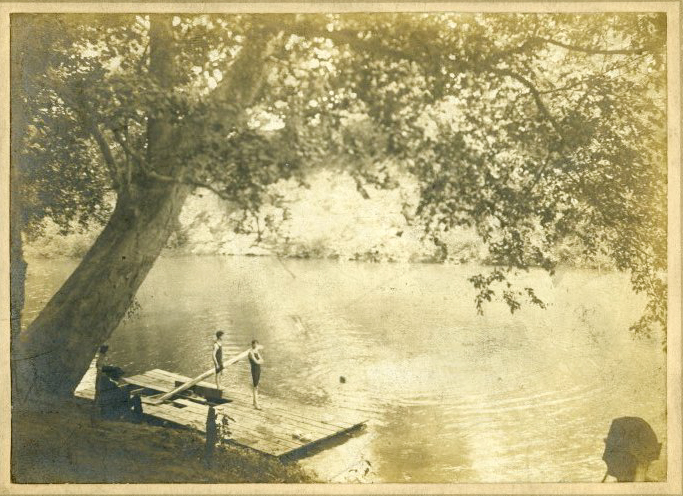 Fire destroyed the original tannery on Silver Creek in 1914, and Moser died the same year. 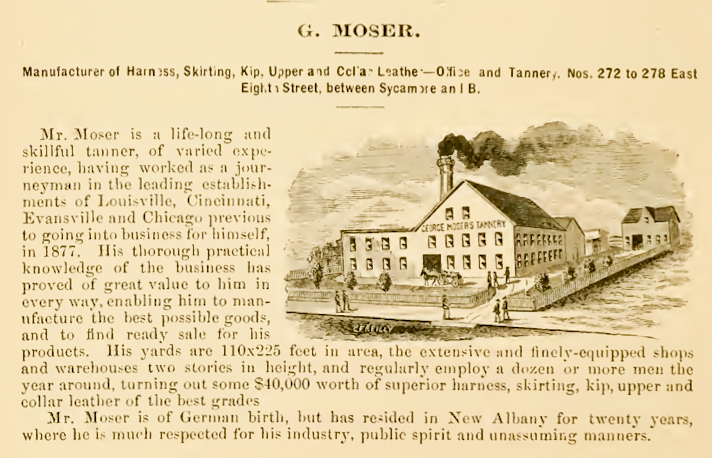 Moser’s sons, George Jr., Julius, and Karl, joined the company and rebuilt the complex. Another of George’s nephews, Charles Moser, became president. By the mid-1930s the George Moser Leather Company covered almost eight acres and employed around 100 workers. Its main products included leather for shoes, belts, and saddles. The company remained in operation until 1985, when it was purchased by the Caldwell Leather Company of Auburn, Kentucky. 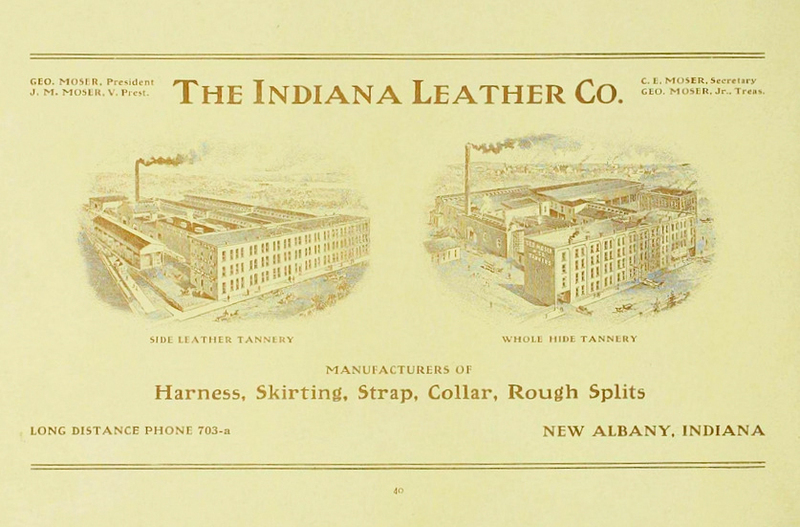 The Caldwell-Moser Leather Company produced leather for consumer goods such as shoes and saddles until 2002. 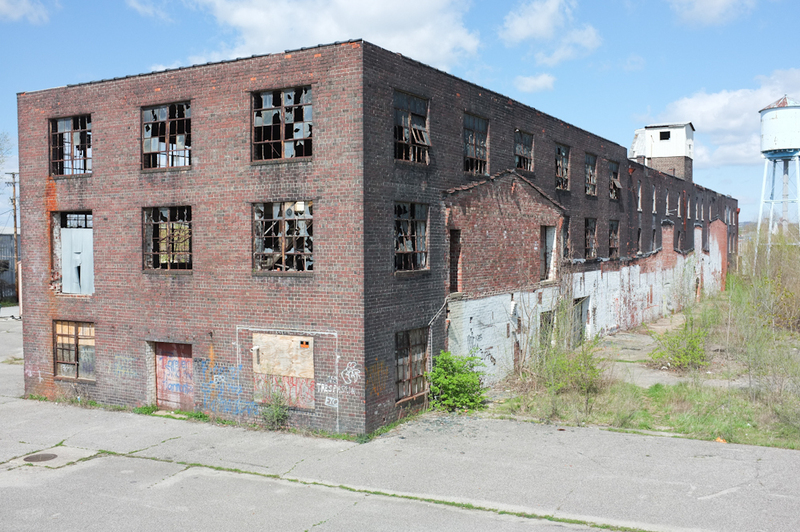 At the time the Caldwell-Moser plant closed, it was one of three vegetative tanneries in operation in the United States. 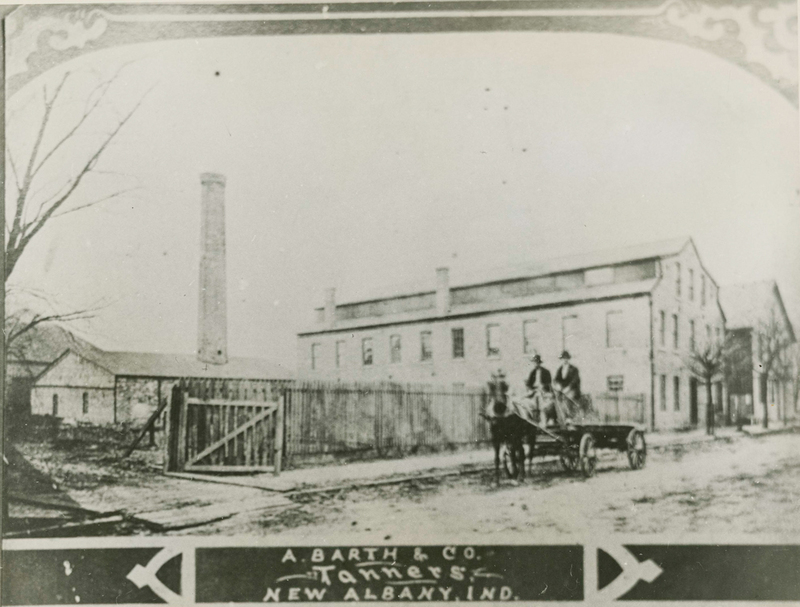 George Moser settled in New Albany in part because of the area’s dense stocks of chestnut trees. Chestnut bark and nuts have natural tannins. Vegetative tanning involves soaking leather in solutions of water and bark for up to four weeks. Although time-consuming, it produces high-quality leather. The Moser Company used the process throughout its history. It eventually switched to bark from South American trees, but the method remained the same. 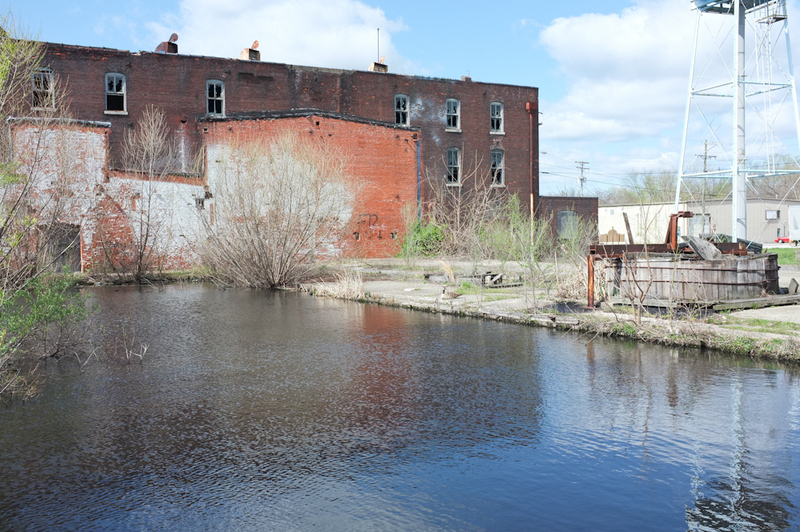 Today, the site of the former Moser tannery and the surrounding wetlands are a 50-acre park. 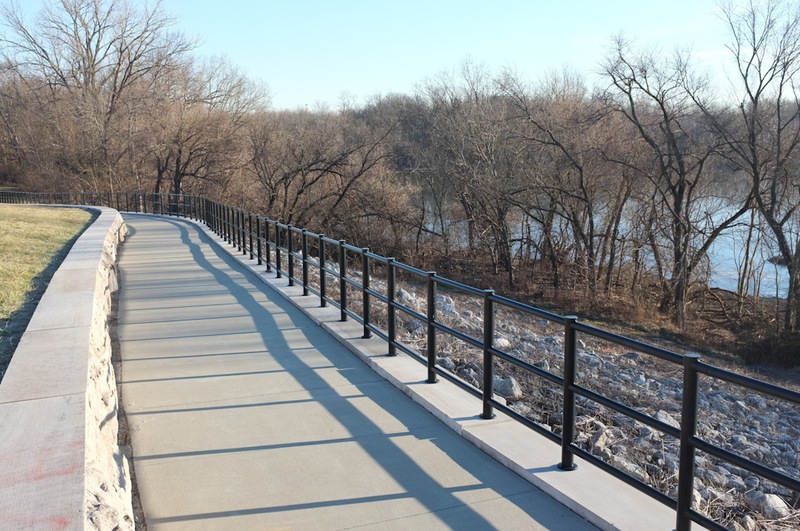 Eight nature trails afford opportunities for bird watching, relaxation, and pleasure. Signs posted along the trails acknowledge the lagoon’s former industrial use. The Leather Compost Trail provides a through account of the Moser Company’s history. Leather remnants can be seen composting in large piles in the lagoon. 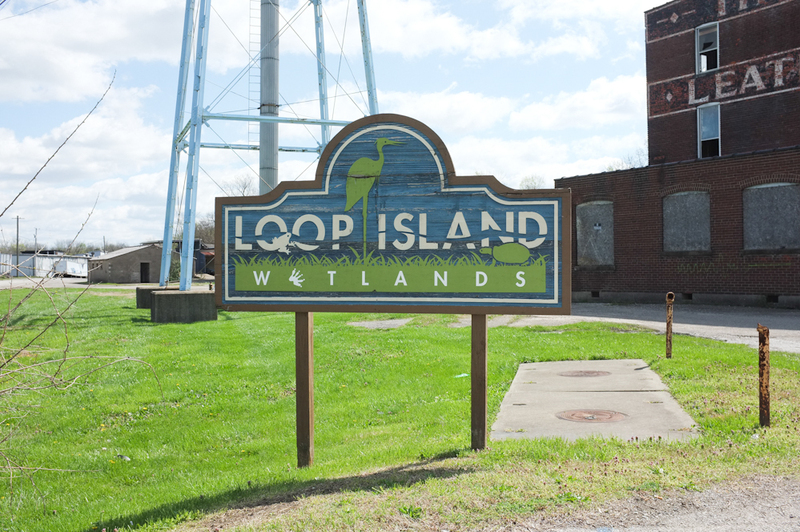 Ashley Slavey, Megan Simms, Wes Cunningham, Eric Brumfield, and Katy Morrison, “Loop Island Wetlands,” Discover Indiana, accessed April 25, 2019, https://publichistory.iupui.edu/items/show/143. Published on Mar 15, 2016. Last updated on Apr 2, 2019.